Tonight is your last opportunity to SUPPORT LISTENER-SPONSORED, FREE FORM RADIO during the Summer Membership Drive !!! In doing so, you can be awarded with these geat CD gift Premiums! pictured below! NEW CD Releases will be awarded for donations of $25 or more. Supplies are limited, so act quickly! 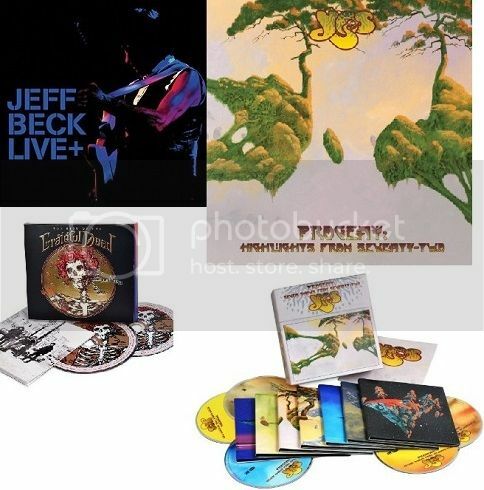 The Morning Dew Show will be playing and awarding Jeff Beck, Grateul Dead and Yes!!! Full one hour interview with TC, Tom Constanten, tonight on WBAI's "Morning Dew" Radio Show! Tune in at 1:00 - 3:00 AM (EDT) Sunday 99.5 FM (NYC), also streaming globally live at http://www.wbai.org ~ If you miss the live Broadcast, you can catch it on the Streaming Archives by going to http://wbai.org/archive.php" onclick="window.open(this.href);return false; and scrolling to "Morning Dew" for 8/09/15. Speaking to TC was a real hoot! He offered many fascinating glimpses into his formative years before and during the early, some say peak, Grateful Dead years. Two FREE pairs of Tickets now available for the SOPAC performance of JAZZ IS DEAD. Listen to "Morning Dew" Radio Show Sunday 8/09/15 ~ 1:00 - 3:00 AM (EDT) on 99.5FM also Streaming on http://www.wbai.org ~ Just email us and tell us the name of the Stockhausen piece that TC suggests and we play a sample of ~ Email us at <morningdew@wbai.org>. Supplies limited, first come, first-served ! Tune In to "Morning Dew" NOW!! Tune in to Morning Dew on WBAI-FM (99.5, NYC) and Streaming Globally at http://www.WBAI.org" onclick="window.open(this.href);return false; late this Saturday night (or Sunday morning 1-3 AM, EST) for two interviews on the world of the Grateful Dead. I'm Don Grossinger, your host. Blair Jackson and David Gans (both are published experts in the GD universe) have written and compiled a new history of the group called "This Is All A Dream We Dreamed". It's a detailed oral history with short passages from participants and eye witnesses covering the Grateful Dead's entire history and it makes for a very interesting read. The authors have meticulously researched and interviewed all the folks involved in the long strange trip and this book goes to new places on every page. Rumors are debunked and myths confirmed! Dennis McNally's book (and CD counterpart) is a wonderful collection of actual conversations with visionary (and sometimes unwilling) leader, Jerry Garcia. 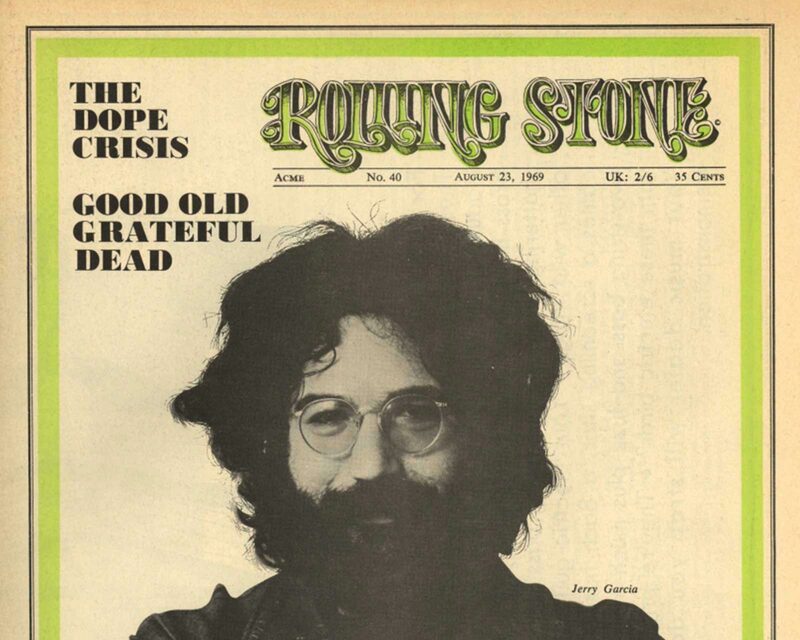 With the approval of the Garcia estate, Dennis puts together an amazing look at the thoughts of Garcia on an incredible range of topics from movies, politics, LSD, the group mind and "community", musical inspirations, personal influences, UFO's and what he thinks about while playing with the Dead and lots more. The CD's are edits of the actual interviews, so you can hear the conversations in Jerry's own voice. Tonight on Morning Dew, Tune in to hear an Interview with Mark Diomede (of Juggling Suns Project) AND also Keith Kenny about their new CD releases, "Regulus" & "Keith Kenny ~ LIVE"...Tune In at 1:00 - 3:00 AM (EST) on Sunday 12/27/15 to the "Morning Dew" Radio Show 99.5 FM , also available Streaming Live at http://www.wbai.org" onclick="window.open(this.href);return false; ~ or on your smartphone via the free Pacifica Radio App!! !